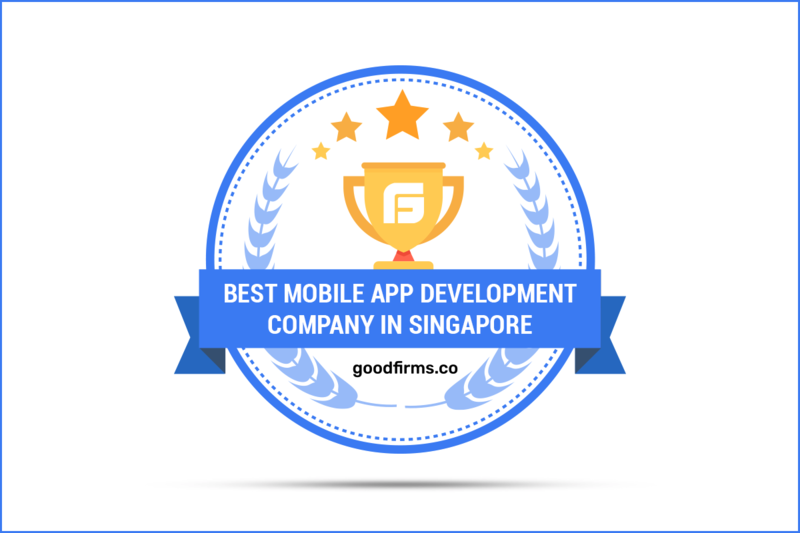 The firm’s exceptional mobile development services get recognized by GoodFirms to list them among the best mobile app development companies in Singapore. With five offices spread across three continents, Applify is one of the leading IT solutions and development service provider. They have award-winning digital centers in countries like UK, India, USA, UAE, and Singapore. Applify offers services such as enterprise mobility development, mobile app development, and marketing, UI/UX designing and long-term maintenance for the same. They are a collective bunch of designers and developers with the versatility and diversity of high-quality talent. GoodFirms is a research and reviews firm which located in Washington D.C. They evaluate IT solutions and services providing company to aid service seekers in their quest of IT services — researchers at GoodFirm conduct thorough analysis of such IT companies across the globe using three crucial parameters: Reliability, Quality, and Ability. Applify has been rendering outstanding mobile app development services in Singapore. With a team of a project manager, top-notch developers, genius designers, and a marketing guru – they develop long-lasting bug-free mobile apps. They develop cross-platform apps, iOS, and Android apps, and apps for wearables like iWatch. The team stays updated with the latest technologies and frameworks needed for the work: Ruby, Node.js, MongoDB, Quickblox, Sinch and a lot more. Seeing Applify’s success in developing unique mobile apps, GoodFirms listed the firm among the top mobile app development companies in Singapore. Applify empowers their clients’ businesses by reinventing existing Android app development for the high-pace and technology-driven world. They leverage the potential of the best industry skills and the latest technology to provide user-friendly app solutions and services. This eventually helps with business growth and proficiency of the clients and, drives the firm’s legacy towards a future ruled by technology. The team’s working terminology is based on smart and straightforward app development. They work towards creating applications that are easy-to-use, adaptable, and affluent with user-friendly features. Onlooking their Android app development services’ structure in making the most convenient and friendly apps for its patrons, GoodFirms believes that Applify is likely to position itself among the international list of top Android App developers. Applify designs interactive, audience-centric, and creative UI designs which are loved by clients. Their team of designers is apt in resolving the complexities and designing of mobile applications. Their developers create intuitive designs and enhanced functionalities using the latest technologies. They design the app in such a way that it maps with the map the clients’ vision. They ensure third-party feedback to guarantee the overall success of their designs. The team offers services in App designing such as iPhone, Android, iPad, and Windows app designing, app logo design, custom templates, custom themes and many more. Applify’s high-quality work in App designing services enables them to arrive soon on the list of top mobile app designing companies. Washington, D.C. based GoodFirms is a maverick B2B research and reviews firm that aligns its efforts in finding the top WordPress development and web designing companies delivering unparalleled services to its clients. GoodFirms’ extensive research process ranks the companies, boosts their online reputation and helps service seekers pick the right technology partner that meets their business needs. Previous articleWhy Every Singapore Business Should Capitalize on e-Commerce NOW? Next articleWhat Makes an App Stand Out?